The Center for Dewey Studies has a rich visual culture to draw on both in its everyday environment and in Dewey's legacy to aesthetics. 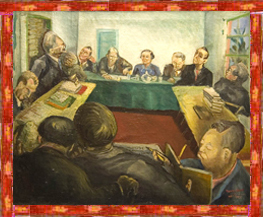 On display at the Center is the original group portrait of Dewey presiding over the Trotsky Commission, as well as other reproductions of Dewey's portraits. 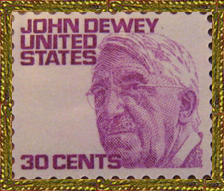 Art for Dewey was not rarified to specific genres or particular forms, but encompassed the way of doing and making things, spreading the term art to spheres of social practice and ethical involvement in society. Dewey's philosophy of art was inspired by amazingly profound artists such as Sir Jacob Epstein, Henri Matisse, Deigo Rivera, and Dorothy Eisner. Matisse was influential in the area of experience and expression. 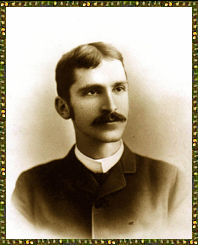 The following passage exemplifies how Dewey pioneered the blurring of boundaries of art and naturalist philosophy: "The first characteristic of the environing world that makes possible the existence of artistic form is rhythm. There is rhythm in nature before poetry, painting, architecture and music exist. Were it not so, rhythm as an essential property of form would be merely superimposed upon material, not an operation through which material effects its own culmination in experience."